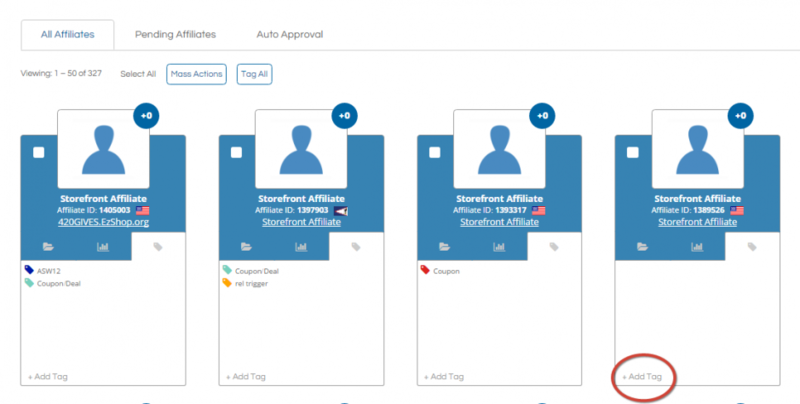 Tags, one of the simplest yet most powerful ways to organize the Affiliates in your program. 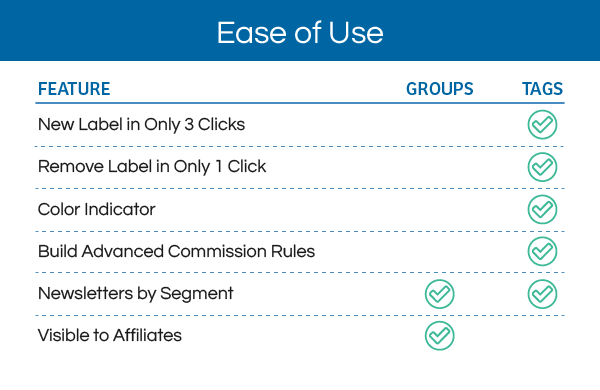 Whether it be for reporting, sending bonuses, or making sure certain Affiliates in your program have specific rules set for them, tagging is a fantastic way to make sure you are always on top of segmenting out your Affiliate partners! With the introduction of our new interface, we wanted to show you how some of the tools you use on a daily basis will incorporate the tag function. 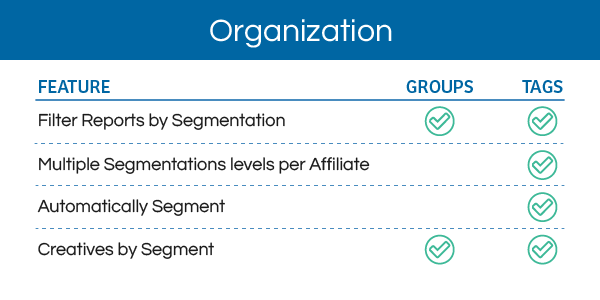 and many more ways to segment Affiliates. 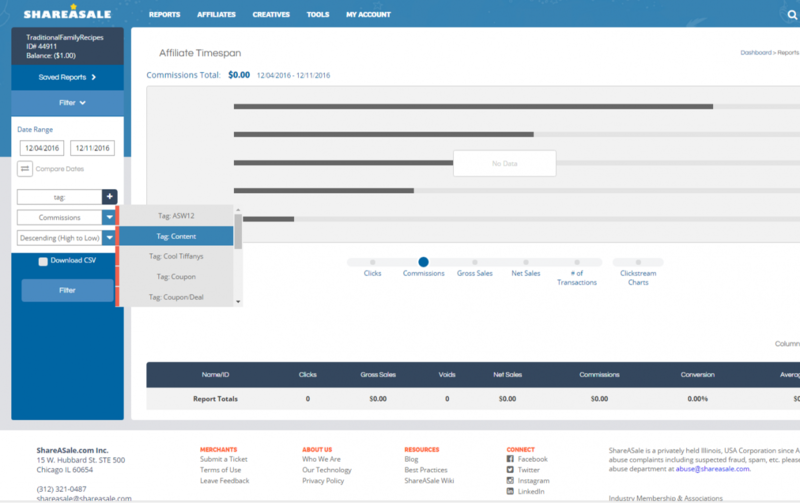 In this example, we’re going to look at the new Affiliate Timespan report. Say you want to look at a specific date range for commissions paid out to Affiliates. You can utilize the tag search on the report to view by specific Affiliates that you have brought together under a single tag. In the picture below, you will see that we are looking up our content Affiliates who all share the tag that we created for them. We have other tags to choose from as well, each tag will let us see statistics for those specific Affiliates. 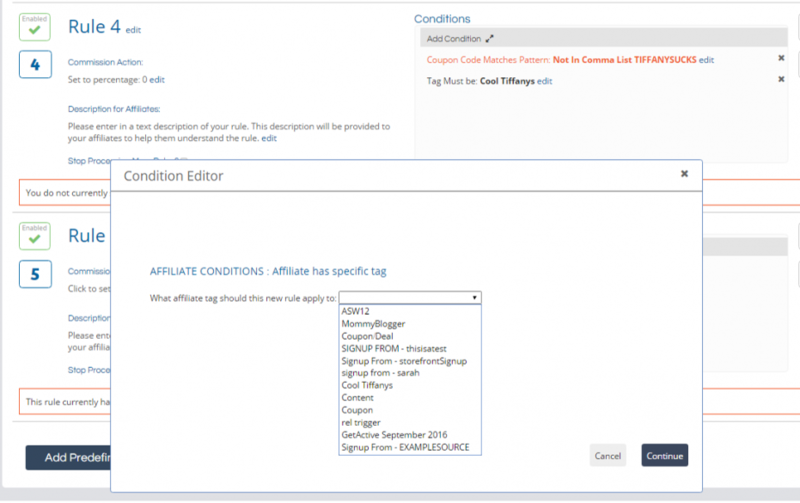 Did you know you can set up rules specifically for tagged Affiliates? When creating your rule, you are always asked to set a list of conditions that will make a commission action happen. One of the conditions inside the Personal Commission Rule setup asks if the Affiliate has a specific tag. If this is selected and a tag is chosen, the rule will only run for those Affiliates that have the tag. This is a quick way to segment a portion of Affiliates from having (or not having) to adhere to specific guidelines in your program. 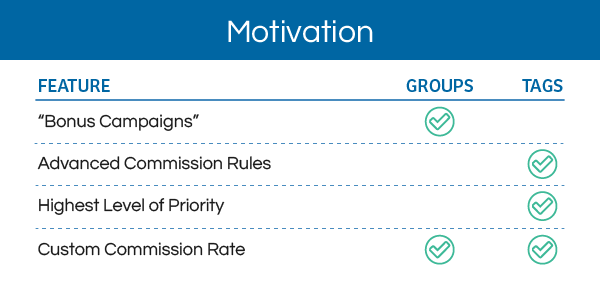 Groups may be used to easily set an alternative commission rate (applied to all members of that group instead of your default commission). The only way to commission based on a tag is by setting up a Commission Rule using that tag. An Affiliate may only be assigned to a single group at any time. 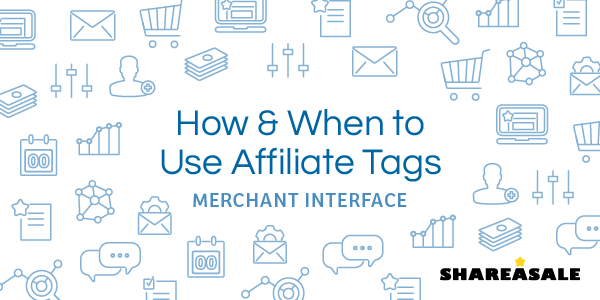 An Affiliate may be assigned any number of tags. Both tags and groups may be used to filter report results, and both can also be used at the same time. Groups are visible to Affiliates whereas Tags are not. A group with a name they may not like (“terrible affiliates 2016″) is visible to the Affiliate. Tags are not visible and it’s also not possible to set a 0% commission rate in groups. The table below is helpful in showing the differences, but as tags gain more functionality this table may change, keep reading the ShareASale Blog for any updates we may have with the tag function.